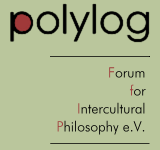 Contact - polylog: Forum for Intercultural Philosophy e.V. polylog. Forum for Intercultural Philosophy e.V. polylog e.V. was founded in 1998. It is a non-profit association registered with the Munich Registry Court (VR 16248). Contributions are tax-deductible. Our constitution (in German) is available online.